Holiday Party Props - SUPER DELUXE 26 piece set - Santa and Friends Deluxe Edition! A $100 VALUE! This set is literally Christmas in a box and you will absolutely LOVE IT! 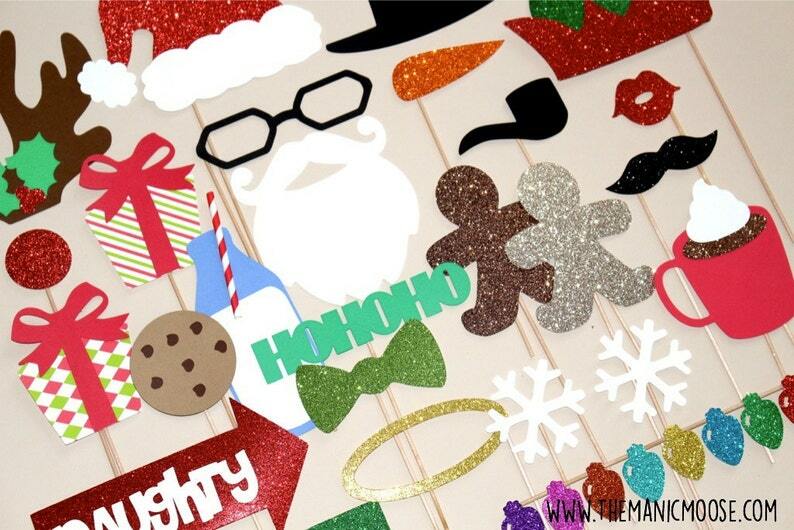 Celebrate the Holidays in style with this amazing set of 26 Holiday themed props on a stick! Makes unforgettable Christmas cards! This set features Santa, Rudolph, Frosty, and Elf, plus tons and tons of fun additional props including our popular 3D milk and cookie props, hot cocoa, glitter gingerbread men, an angel halo, our glitter naughty and nice arrows, super sparkly strand of christmas lights, and much more! *PLEASE NOTE: GLITTER WILL NOT SHED! This listing is for a set of 26 ultra-cool Christmas props on a stick!